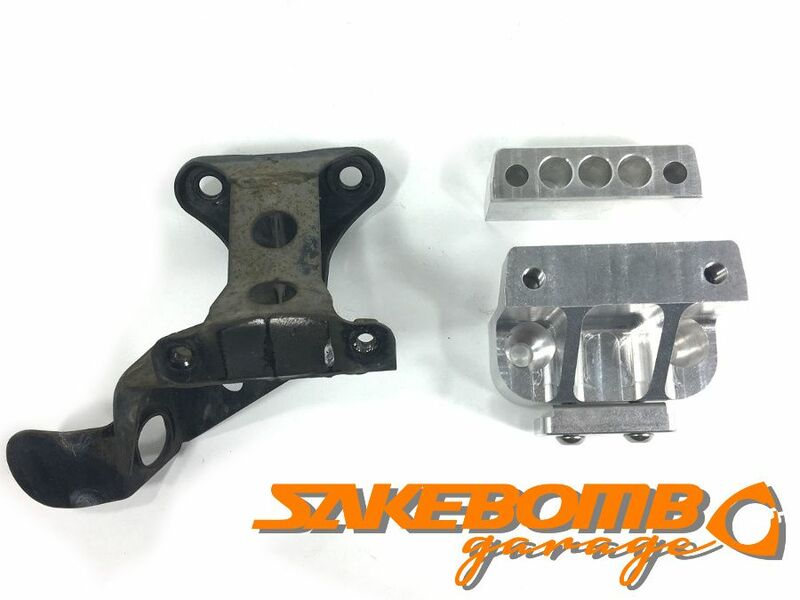 Competition Billet Sway Bar Mounts are Now Available from SakeBomb Garage! 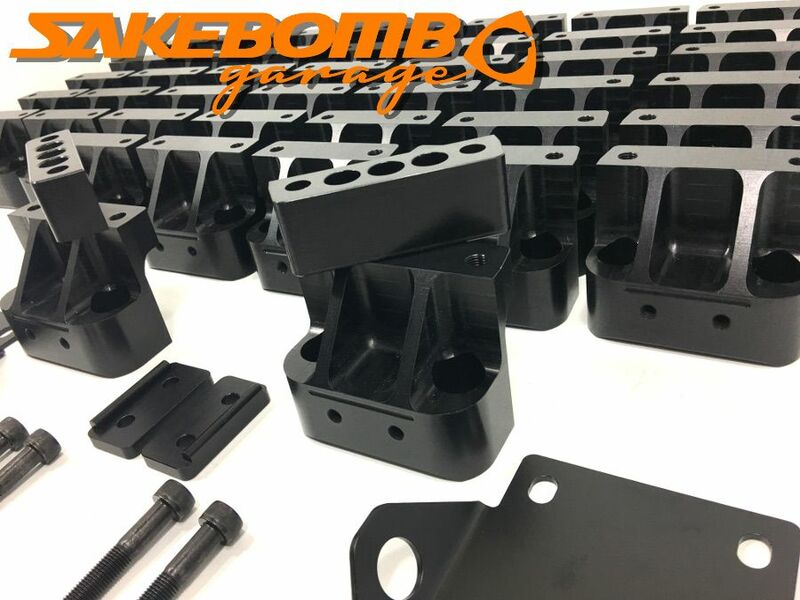 Introducing our new Competition Billet Sway Bar Mounts! These mounts provide an enormous upgrade to your FD's handling potential, for either OEM or aftermarket sway bars. The stock welded sheet metal mounts flex severely, providing barely enough support for the existingsway bars. When upgrading to a stiffer, aftermarket sway bar, this problem becomes magnified, limiting the stability of your front end by creating a structural weakness. • Full Billet Aluminum Construction - with mil-spec hard anodized finish to last forever! • Extremely stable sway bar mounting even for the most extreme aftermarket bars, no additional reinforcements needed! Stiffens Stock Front End, and Allows the Full Utilization of Aftermarket Sway Bars! 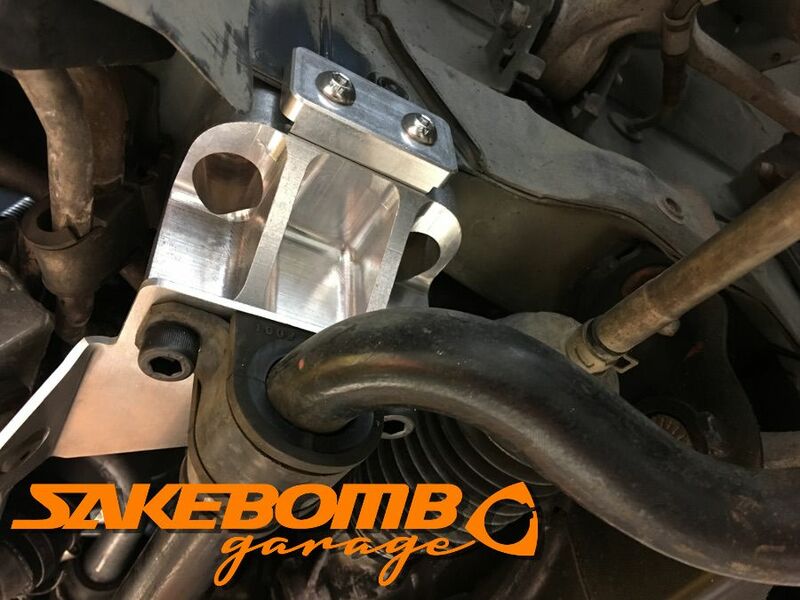 Our solution provides a robust mounting bracket, which in effect stiffens your stock sway bar, by removing the uncontrolled flex from the equation. This also allows for the installation of much heavier sway bars and their effective utilization, without being compromised by a flawed mounting platform. A Perfect Solution for Stock Height, and Lowered FD's! With optional spacers for stock ride height vehicles, this kit provides a solution for any FD on the road. 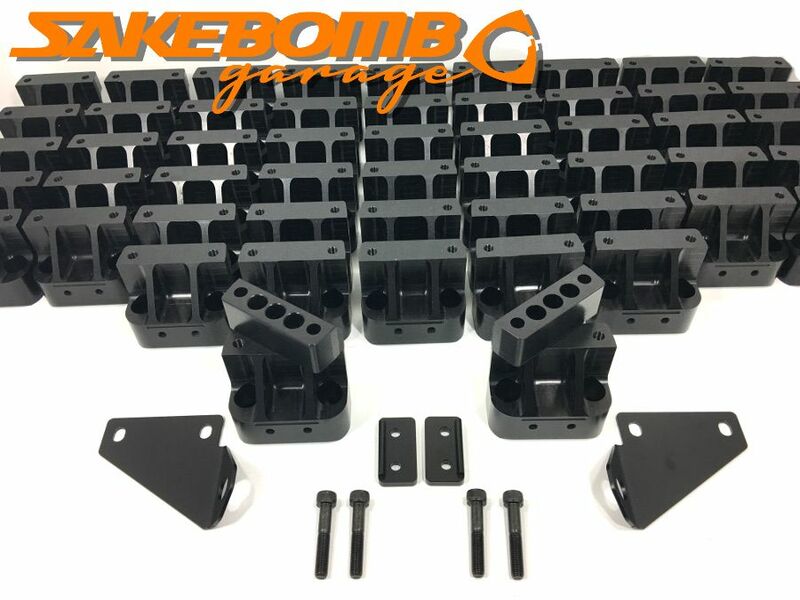 Whether you're just looking to stiffen up your stock frame, or working on an slammed high HP rebuild, these mounts are a must have. 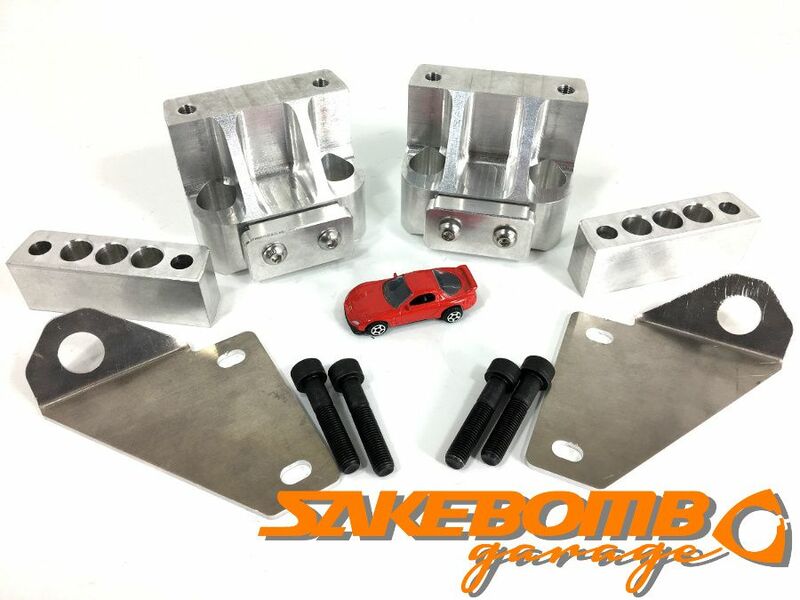 A solution to one of the fundamental problems of the FD chassis is now available at special introductory prices from SakeBomb Garage. See our Product Page for more details. Available Now, For a Limited Time at a Special Introductory Sale Price! Unlock Your FD's Full Potential!